How does India have 21% forest cover? This summary is not for the faint hearted, because contains truckload of factoids and rankings. 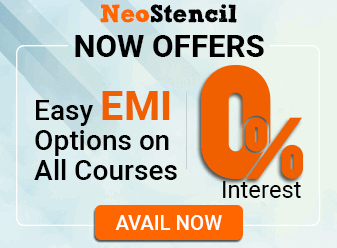 Only those who’ve finished static environment, geography and aptitude portion should proceed further. As such I was preparing economic survey summary but consider this report to be a “fork” of the Economic survey Ch12 on sustainable Development & climate change. Credit: B.N.S. Viswanath for majority of the compilation. Since when? 1987: using LANDSAT satellite. Since then report every two years. Lantana and other large weeds also get recorded as forest cover. sugarcane, cotton etc. agriculture crops grown near forest areas. 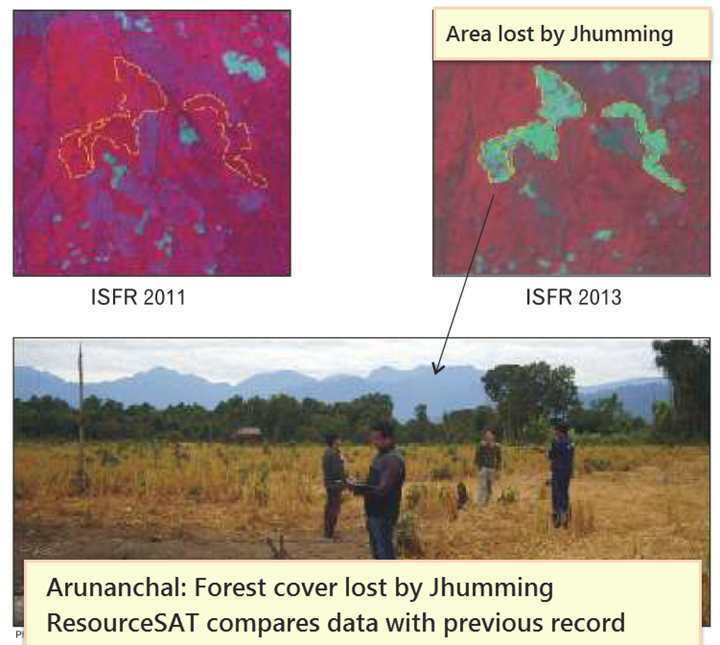 ResourceSAT cannot differentiate them from trees. Have to send men on field for crossverification. Official definition of forest cover? Out of them class 1, 2 and 3 = “Forest cover”. 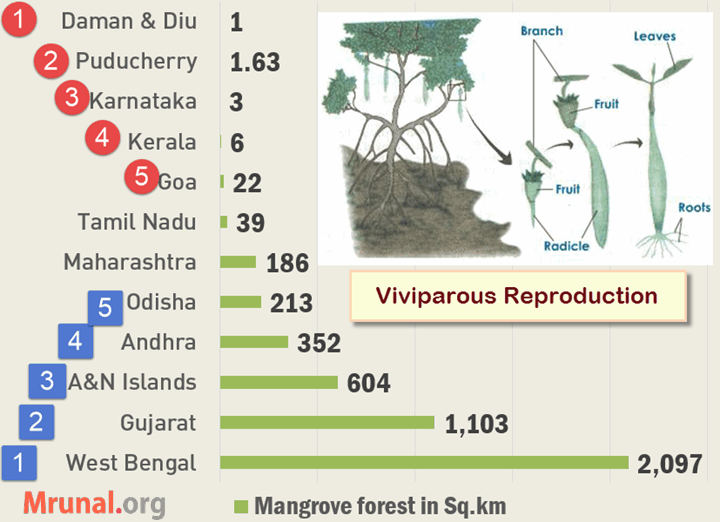 In absolute figure: forest cover is ~7lakh sq.km out of total ~33 lakh sqkm area. Majority of India’s forest cover is witihin 500m above sea level. There is hardly any forest cover on altitude above 3000m. overall, forest cover increased between 2011 to 2013.
single tree species is dominant Two or more tree species intermingled in the same canopy . Area wise, Forest type ranking: Mixed forest >> Sal >> Lowland hardwood >> Teak >> Teak with misc. 40% of their Area under forest cover. 8% of India’s geographical area but 25% of India’s forest covers. 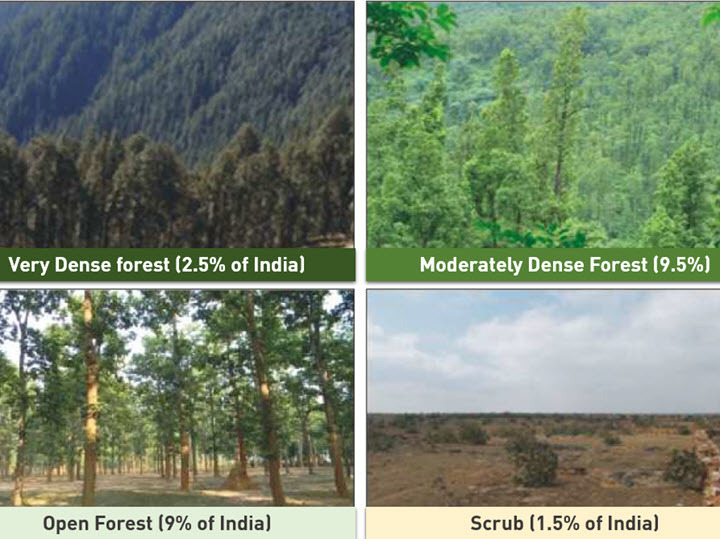 India’s National Forest Policy 1988 wants to have 33% of India under forest and tree cover. mind the words: forest cover + tree cover. Therefore, total cover =21.23+2.78 = 24.01% of India under forest and tree cover. Mangrove is a salt tolerant plant. buttress roots Root grows from directly stem, above ground, to support the tree. stilt roots below water/land.They uphold the mangrove against tides, strong winds and tropical storms. Reason: better satellite data, higher accuracy in counting. Therefore, Bamboo is a “non wood” forest resource. India has 125 indigenous, 11 exotic species of bamboo. Bambo is fast growing, wide spread, renewable, versatile, low cost natural resource. Therefore, known as poor man’ s timber . Destroys humus, nitrogen and other nutrient elements= soil fertility declined= regeneration difficult. Destroys grass= less infiltration of water = more runoff of water=regeneration difficult. As such cattle grazing is considered a threat to forest cover, but “controlled grazing” reduces grass density and thereby reduces forest fire risk. Process of replacing old crop/trees with younger ones. Assertion Grazing reduction, lopping and plantation can help in forest regeneration. Reason These activities influences carbon storage through changes in tree biomas both above and below ground. Hills have less soil depth than valleys. Alluvial soil = deepest secondary soil. Rockiness is related to soil depth. Where rockiness is more, the soil depth is less. Therefore, in rocky soils, crop density is less and vegetation is sparse. Assertion Humus is regarded as the life blood of soil mass. Humus=decomposed organic matter in soil. Includes both plant and animal litter, tissues. Agroforestry = inclusion of perennial trees within farm. Bio-fertilizer trees enrich soil and helping in land regeneration. They provide nutrient recycling, increase organic matter. They provide fruits, fodder, medicines, non-timber forest produce and shelter. Planning commission report: we can bring 3 crore people out of Poverty, by implementing Agroforestry in rainfed areas. Therefore, Government spends sizable fund on agroforestry- under MNREGA, watershed Management, Green India mission, horticulture mission etc. By 2050: India will have the largest population of world. In India, Urbanization is synonymous with slums, transport congestion, poor sanitation and airpollution. It is the volume of all living trees in a given area, above than a certain diameter at breast height. Growing stock measured in m3. Benefit of finding Growing stock? We can estimate the amount of carbon contained in the area. total carbon stock in forests is estimated to be 6,941 m tonnes & there is an increase of 278 m tonnes in the carbon stock of the country. Sir , plz explain hockey stick graph?? Gud job mrunal G as usual..
3.can do rough work(with pen or pencil?) beside question itself and underline the passage while reading it. Kindly solve these silly queries . Hey, you can take a water bottle and wrist watch (without calculators) with you. You can do all the rough work you want on the question paper as you get to take it home. @caustic576.. generally they instruct not to tick any thing on paper…so beware…!! and yaar pre me highlighter ka kya kaam?? @anju.. wrist watches are allowed but not the electronic ones…!! ….ALL THE SUPPA BEST TO ALL MY FRNS….. “WHEN GOING GET TOUGH TOUGH GET GOING””..BINA KISI TENSION KE MASTI MAR KE PADHO… !! Thank a lot sir you hv saved our time !!!!! I think forest fires do not account for soil fertility loss , in fact residues replenish some of the nutrients and thus improves soil fertility. plz cover the key points of difference b/w normal budget and interim budget. Hello mrunal sir. my question about CSAT-english comprehension…. -Recently MINISTER said in parliament about CSAT…..we dont consider English passage marks for merit. i have not clarity about this. 1. what is merit..? I think cut off for prelims. that means english marks not not include in cut-off. 2. Then English comprehension questions valid or not..? means we need attempt or not…? 3. if attempted….that marks are not consider in cut off..? Then why we waste our time for that . some one said English comprehension is just for qualifying… not for merit. hiiiii…….forgot to download instruction along with admit card of pre exam ……if anybody have plzzzzz help me n plzzzzz reply …. very nice sir, thank you for this information. – plantations on community lands, roadsides, railways and canals, Eucalyptus, rubber, tea and coffee plantation do not come under “recorded forest area” but DO come under “Forest Cover”. Recorded Forest Area- Geographical Area recorded as ‘Forests’ in Government records. Forest Cover – All lands more than 1 ha in area with a tree canopy more than 10% irrespective of ownership and legal status including orchards, bamboo and palm. want to know the percentage of Protected forest,REserved FOrests,Unclassed forests.